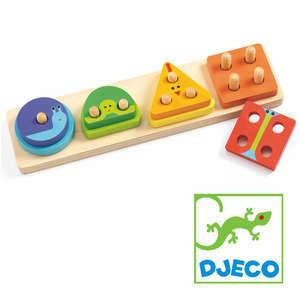 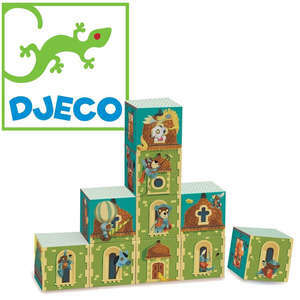 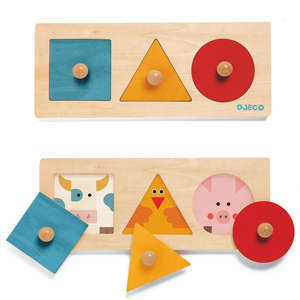 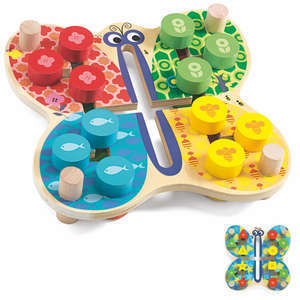 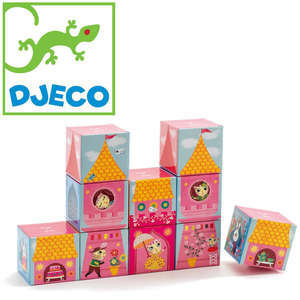 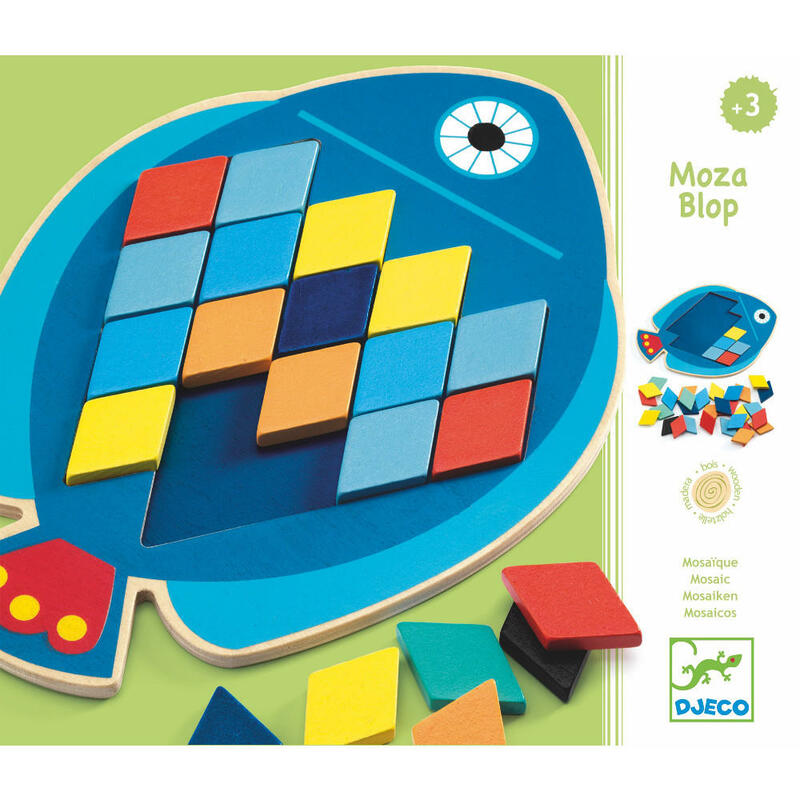 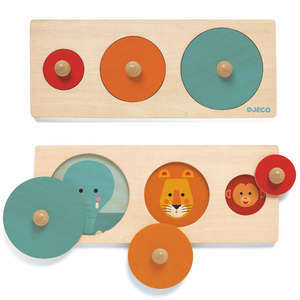 Djeco moza blop is a fun wooden arranging game. 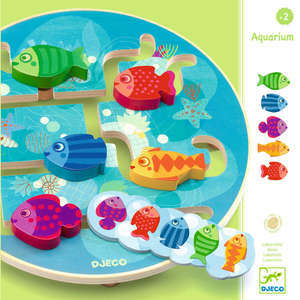 The colourful diamond shaped tiles are placed inside the cutout area of the fish to create vibrant patterns and colour combinations. 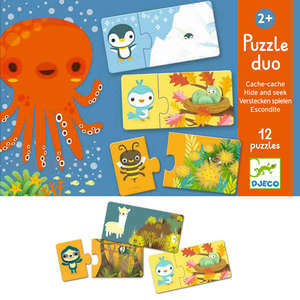 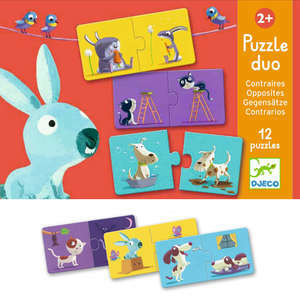 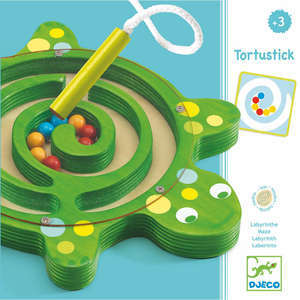 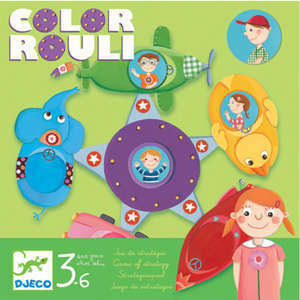 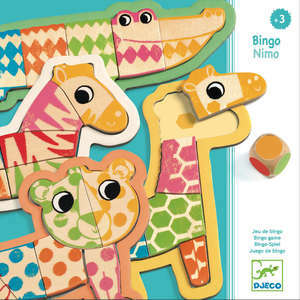 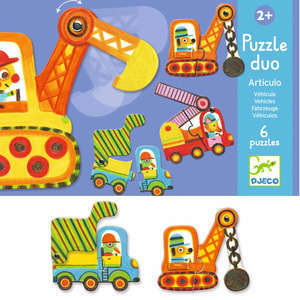 The set includes five double sided pattern cards for children to copy. 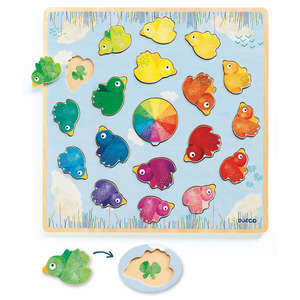 The mosaic pieces can also be used independently of the fish allowing children to experiment with colours, shapes and patterns. 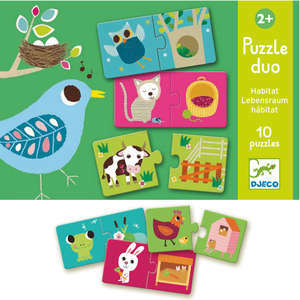 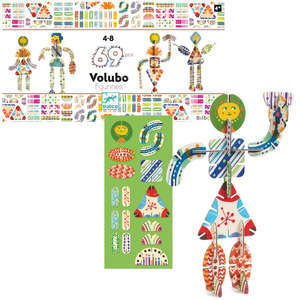 Includes 57 mosaic tiles and ten examples to copy. 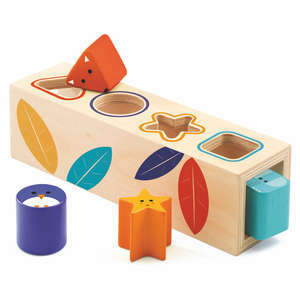 Size approx: 19.7 x 14 x 0.6cm.